Wentworth has hosted many major golf tournaments, and is home to the annual PGA Championship. One of Britain's most exclusive golf clubs is in the grip of a revolution. Members of the Wentworth club near London are furious at plans by its new Chinese owners to double their annual dues and levy a huge one-off joining fee. The club says it needs new investment to improve facilities, and that its members should pay up. But many of the 4,000 members and residents who live on Wentworth's leafy private estate were shocked to be told that they must reapply for membership, and pay a one-off £100,000 ($155,000) fee for the privilege. In addition, they were told annual charges would double to £16,000 ($25,000), a spokesman for the members said. To make matters worse, the club wants to slash the number of members to just 800. Beijing-based Reignwood Group, which bought Wentworth last year for a reported £135 million ($210 million), did not return calls seeking comment. Wentworth residents are meeting Friday to discuss how to proceed, and they could go to court. "There are distinct legal implications in their actions. Failure to listen will bring Reignwood into disrepute and be a terrible case study for China-UK relations," local resident Nigel Moss said in a statement. 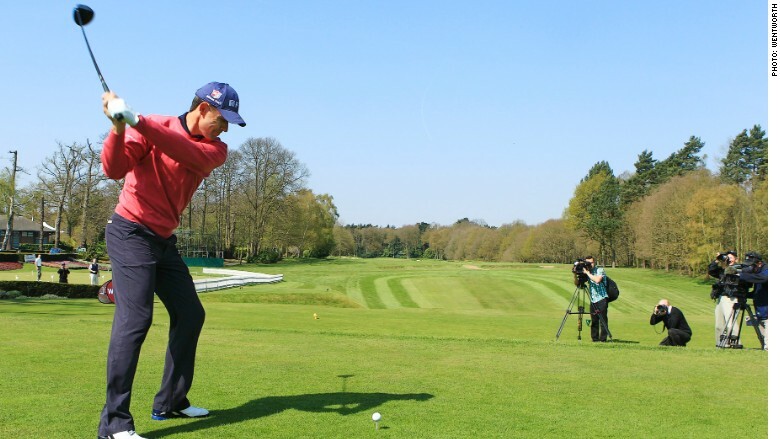 Wentworth club told CNNMoney that as a private member's club it won't discuss its new demands. One of golf's most prestigious events, the BMW PGA Championship, is held at Wentworth each year. PGA Championship CEO Keith Pelley has said the club must continue to improve its course. The founder of Reignwood is billionaire Chanchai Ruayrungruang, a Thai-Chinese national. Reignwood owns a mixture of finance, real estate and leisure assets, including the Pine Valley Golf Club & Resort near Beijing. It also recently bought the Princeville Golf Resort in Hawaii. Golfers are having a difficult time in China. Chinese authorities announced in March the closure of 66 "illegal" golf courses, and the sport is seen as elitist by China's Communist leaders.